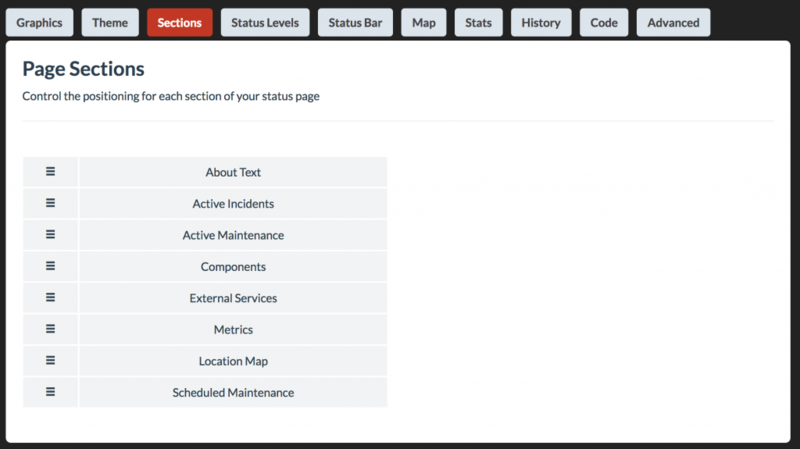 Organize the layout of your status page with our drag and drop tool. This enables you to re-order the page sections to fit your specific needs. Go to the Design tab and simply drag any section to change the order.